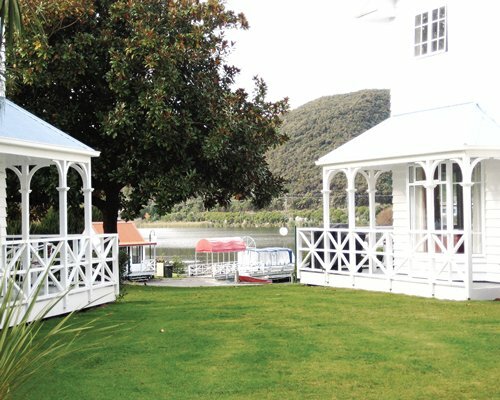 VR Rotorua Lake Resort, a family-friendly environment, features views of Lake Rotoiti that are magnificent and relaxing. An on-site pool and exercise equipment are convenient, and right next to the resort is a hotel complex with a restaurant/bar, conference center, tennis courts and marina with launching and mooring facilities. Golf and horseback riding are only five kilometres (3 miles) away. Units are spacious and well-appointed with telephones, full kitchens, a washer and dryer and dishwasher in each one. 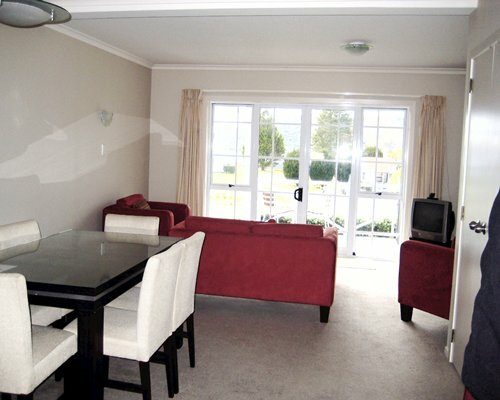 All units have two-bedrooms and accommodate six guests comfortably. Since VR Rotorua Lake Resort is located in the heart of New Zealand's geothermal tourist area, a trip to nearby Tarawera, one of New Zealand's most famous volcanoes, and the thrill of a float plane or helicopter flight to view it from above is a truly memorable experience. Recreational activities in the area include trout fishing, sailing, waterskiing and white-water rafting. The mineral spas are vacation treasures waiting to be discovered. By air the nearest international airport is in Auckland. Take a domestic flight to Rotorua airport. From the airport it is 7km to the resort via Highway 33. By car from Rotorua, follow Highway 30 past airport onto Highway 33 (a total of 17km). Airport transfers can be arranged by the resort if booked in advance.